Mario Characters Stitch Patterns. 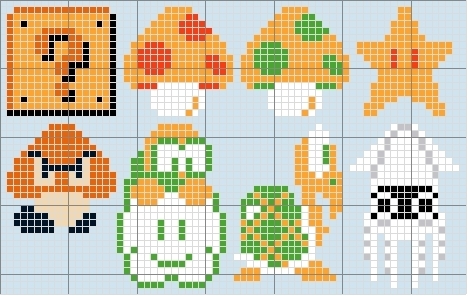 cruz stitch and/or plastic canvas patterns for some Super Mario Brothers characters :). Wallpaper and background images in the super mario bros club tagged: nintendo mario super mario super mario brothers super mario bros smb cross stitch stitch pattern. I'm doing this with DMC 3827 for the main yellow color, DMC 919 for the red and DMC 921 for the orange.